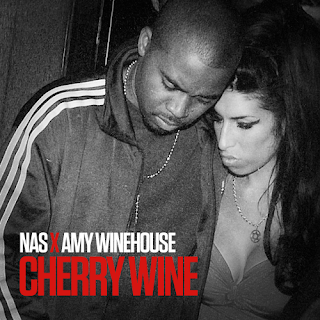 Produced by Salaam Remi, Nas featured the late and ever so talented Amy Winehouse on his new posthumous single 'Cherry Wine'. The soulful jam already is getting air played on radio in the UK, thanks to BBC Radio 1 who released the single last night. This track has this old school New York hip hop vibe/sound to it, taking you back to the late 80s/early 90s. Nas who is currently on tour in Europe, is scheduled to release his debut album 'Life is Good' on July 17th of this year. This new single, a posthumous collaboration got recorded before Winehouse's death, Nas always stated in interviews and on his twitter page how close they were and how they even shared the same birthday. Listen to the Salaam Remi produced hit single below.